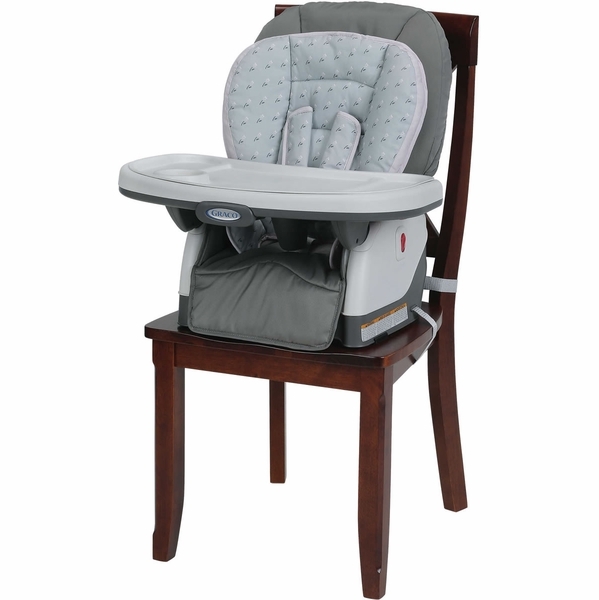 This chair is perfect in that itâ€™s functional, convenient and just girly enough for my little munchkin to enjoy! 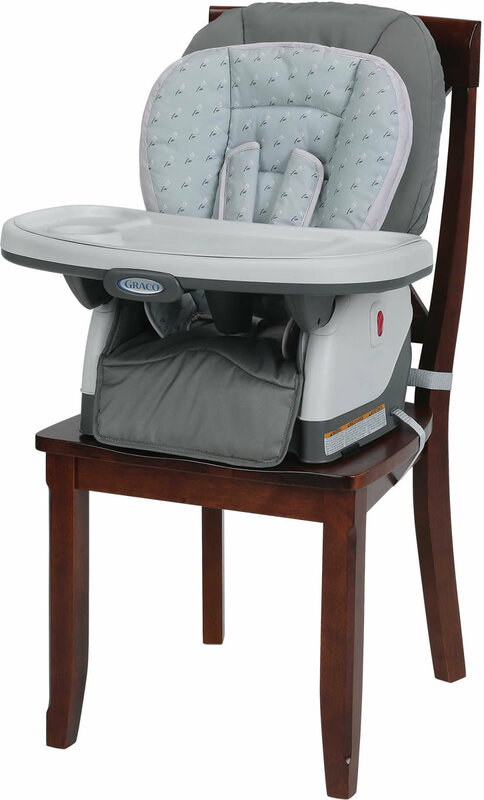 We love meal times together! 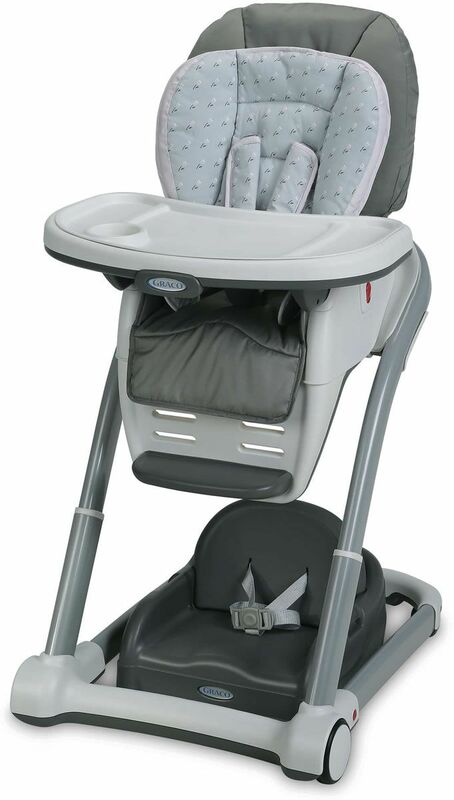 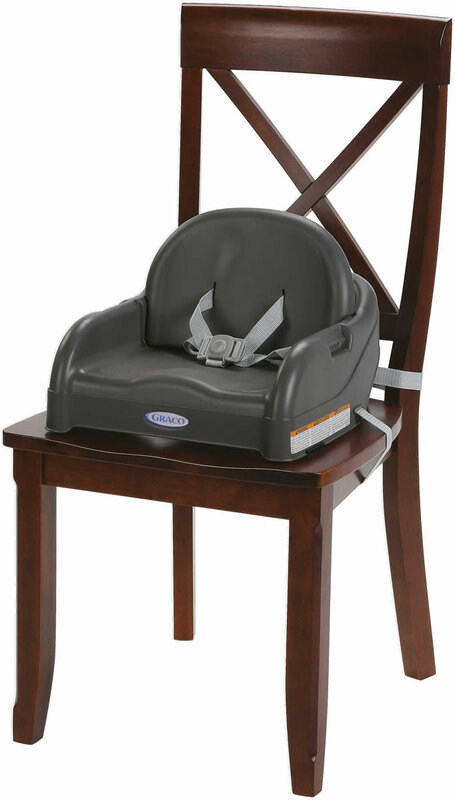 Graco® Blossom™ 4-in-1 Seating System- designed to adjust to your growing child's seating needs and to accommodate more than one child in your growing family. 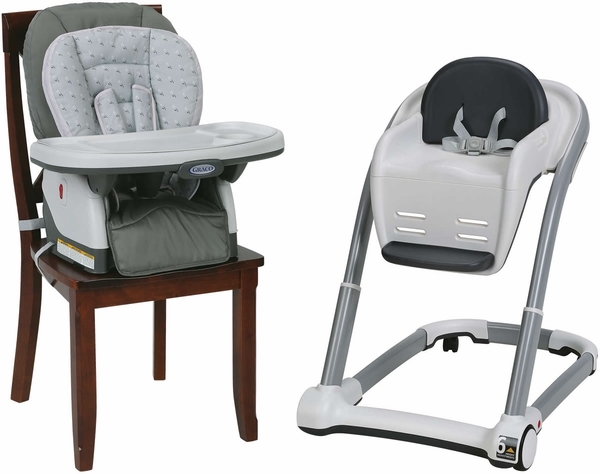 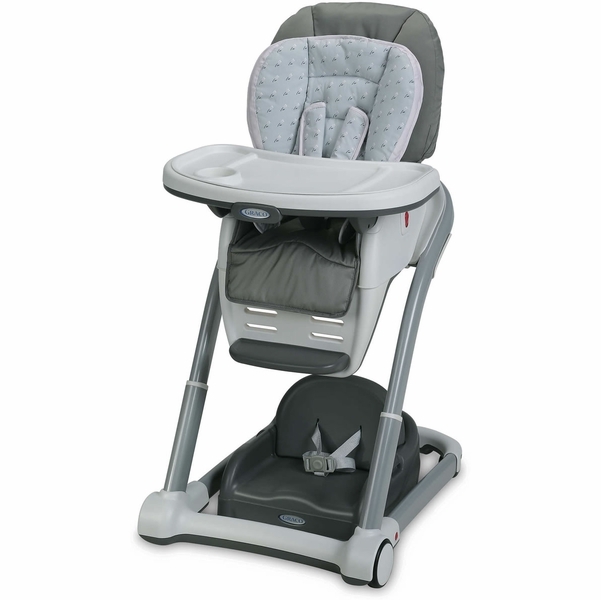 It transforms seamlessly from an extremely functional highchair to an infant feeding booster, a toddler booster, and finally a youth chair. Should your family suddenly grow, it can even accommodate a baby and a toddler at the table all at once. 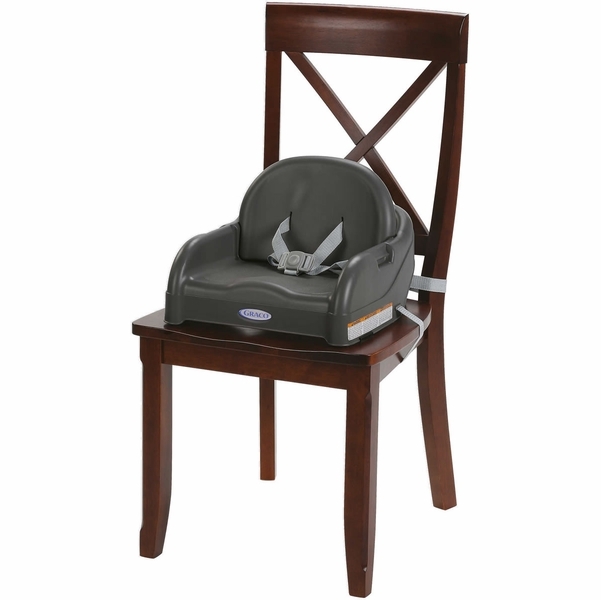 The 6-position height adjustment assures a front row seat for baby at any family table. 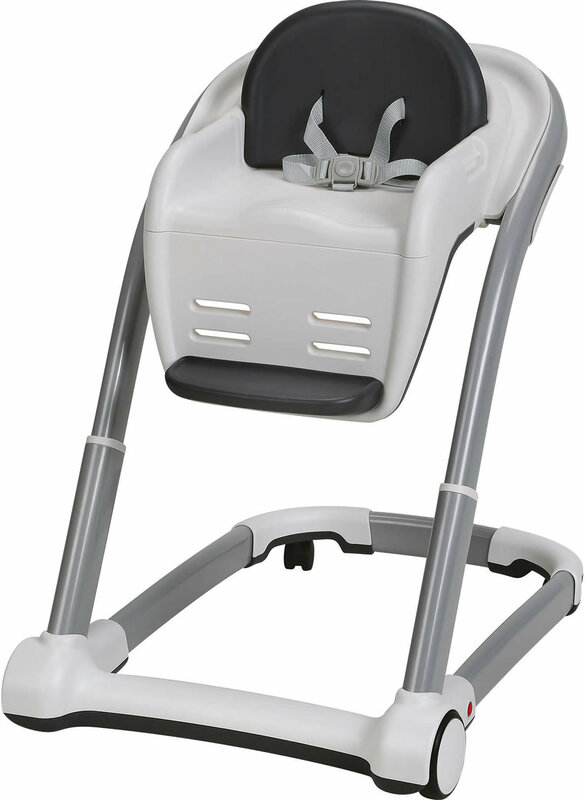 And the 3-position removable footrest and 3-position one-hand reclining seat will ensure your growing child stays comfortable at mealtime. 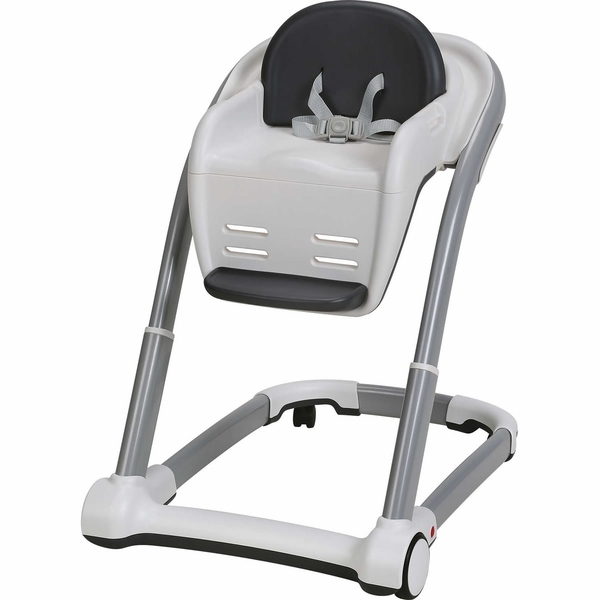 Includes bonus harness covers and extra tray insert for easier cleanup!